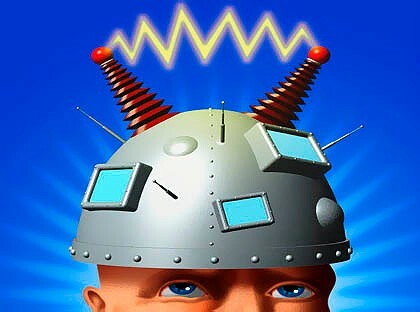 How IBM Saw 2012 in 2007: Where’s My Mind-Reading Cellphone? The brainiacs at IBM made some pretty far-out predictions this week: In five years, they say, you won’t need passwords, there will be no more digital divide, and mind reading will no longer be science fiction. IBM has been doing these predictions for decades. Back in the ’80s, they looked 10 years out, calling their prognostications “Ten Year Outlooks.” But nowadays, things move at Internet speed, so in 2006, IBM started publishing “Five in Five” lists of the five innovations their researchers believe will change the world in the next five years. They’re fun, and they give the company some concrete goals. “These are things you can actually hold our feet to the fire over, to be honest,” says Bernie Meyerson, an IBM fellow and vice president of innovation. Wired asked Meyerson, the guy who helped put IBM’s Power chips in nearly every gaming console out there, what he thought of his company’s January 2007 predictions. The following are IBM’s five predictions of what the world would be like in 2012 — along with Meyerson’s comments — and a ranking of the prediction on a scale of one to five stars. 1) We will be able to access healthcare remotely, from just about anywhere in the world. “The healthcare one we nailed. It’s astounding. There’s an entire factory near Mayo clinic where people fly biological samples in every day and essentially just make use of the fact that the globe is flat to be able to transport precious samples for diagnostics. IBM did call it right when it came to remote medical treatment. But if you read their predictions, they also talk about disease monitoring and “virtual doctor check-ups” at home. Remote disease monitoring is starting to happen, but how many of you have had a virtual checkup? 2) Real-time speech translation — once a vision only in science fiction — will become the norm. It may be possible, but it’s not the norm. If you want to see a Universal Translator in action, you’d best to tune into Star Trek.